Flood plain maps are political. They need to be approved by the communities affected before becoming official documents. I don't think you can use them officially before that happens. It may be different in other parts of the country but county and city managers and elected officials need to approve them here. That being said, if you have a set of maps pre-approval I don't see how advising a client about what may be coming up in the future could be unethical, you would need to explain the process to them. I had two family members working in politics back when the last batch of flood maps came out. The two big issues they were swamped with: a cable provider not renewing the network that broadcast the Denver Broncos and the impact of the flood maps. Not worried about the unethical part of it. Conversely, it is imperative to be ahead of such a major change. The society had a seminar 8 months prior to the Effective Date of the maps. I looked through my records and we permitted the filling of a few sites followed by LOMAs that were turned into LOMR-Fs by the NFIP. I ran dozens of dual elevation certificates with one based on the Effective Map (stamped) and the other based on the Preliminary Map (unstamped, red noted PRELIMINARY). We helped a number of people through the process. Apparently the property owner who prompted my question was not fortunate enough to realize that the changing maps would have such an adverse impact on her property and has commenced legal proceedings against the parties who probably should have been advising her of the upcoming change. Don, I know a couple surveyors who did not get that call, but the property owner did seem to canvas a great number of local professionals. It just made me wonder how far into the future this group expects professional responsibility to extend. I don't do any development consulting so it didn't impact my clients. I am aware of the local case and it's a sad story all around. I am not sure that a professional has an obligation to notify former clients of impending changes. I can only imagine the nightmare if clients started suing over zoning changes that we didn't notify them of! why would flood maps be any different? Now, if it's an existing client, with an active construction project, well any anticipated changes should be addressed. In the case of our local flood maps, wasn't there a date published and then a moratorium of about 18 months before they were adopted as the "Effective" maps? July '14' or so maybe? For our County, the Preliminary Maps were issued in March, 2013 and the Effective Maps were issued July, 2014. So you are telling me that you completed Elevation Certificates or Topographical Surveys just before the Effective Date of the New Maps without telling your clients that the Maps were about to change? I completed dozens of dual ECs: one stamped with the effective map and one unstamped with the soon to be effective map. In the subject case, the caller stated that they were continuous clients of the firm in question since 2010 as their dream home was being planned. It seemed a bit long term for the planning of a home but I was not about to dig into the story. I let her know when I learned about the maps and what I did about it to help folks through the change. I was invited to a meeting where a Planner had returned from a meeting at which discussion were being had on how to require the home owners to be certified using the 500 yr flood plain. I mentioned they might consult a few Surveyors and not just presume a FEMA provided flood map as their sole source of reckoning when presenting ideas for community development and codification of the local economy. If a new set of FEMA maps comes out and I'm still around working, I will be joined by a number of professionals, homeowners, and community regulators protesting them if they end up being like the product turned out in 2010. It's been quite the mess, although, it has brought lots of business to me. We were all caught off-guard not understand what we were getting back then, I know I didn't look at them closely enough, that won't happen again. The most recent version for everything in my county was officially updated in 2010. The data was locked down about five years earlier so the approval process could begin. Sometime in 2008 was when the newspapers carried the story and numerous public hearings were announced and held. The problem? We sustained a major flood event in 2007. In areas it was more than two feet higher than the old BFE, causing very substantial damage. People assume that data was used to set the new BFE announced in 2010. Wrong. So, the general public assumes the current BFE will hold for decades into the future and build just a tad higher than the 2010 number. We counsel them to go two to three feet higher and tell the story of why the BFE will be different in a few years, should a new FIRM come out that soon. One county to the west, in 2007, experienced over 8 feet of water above the BFE of the map in place. What I try to explain to clients is that we are dealing with a regulatory mess, not reality. I put in my contracts that I recommend they have flood insurance even if we find they are not in whatever zone. It's all empirical and nobody is correct, and nobody is incorrect. It's a matter of getting the best price for the insurance by navigating the regulatory structure in the best possible manner. Whatever you do ALWAYS keep the revised maps. There was a MAJOR revision here where I live several years ago. 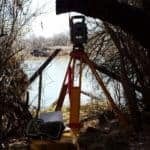 About two years before the effective date we had done a survey with the statement that the property was not in the flood zone. Fast forward about 5 years to when the owner attempts to sell the home. The new survey showed that the property WAS in the flood zone according to the new maps, and the sale fell through. Out come the lawyers demanding we pay for the "Erroneous" statement. When I produced the map we used (the panel number and the effective date were on the flood statement) they realized the "error of their ways" and the lawsuit went away. They aren't flood maps, they don't show what's going to flood. I've seen them show the high ground in the flood zone and the low ground out. The edge of the flood zone is some guy's magic marker art. They are only for figuring out flood insurance rates.